This is a simple, easy to use Thai massage technique for family and friends. Those who just took my Thai massage class around Austin will notice that this is done seated. 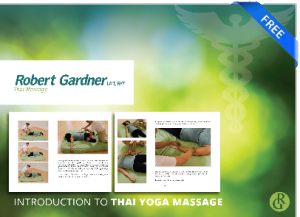 We learn the seated series in the Thai massage certification track. You’re pressing into the posterior neck muscles and those with headaches, TMJ dysfunction or chronic neck pain will love you for doing this to them. Try it at a party around Austin, you’ll make many friends.